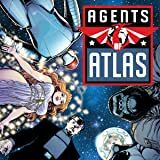 Collects Agents Of Atlas (2009) #1-5, Wolverine: Agent Of Atlas, Giant-Size Marvel Adventures Avengers And Material From Secret Invasion: Who Do You Trust? & Dark Reign: New Nation. 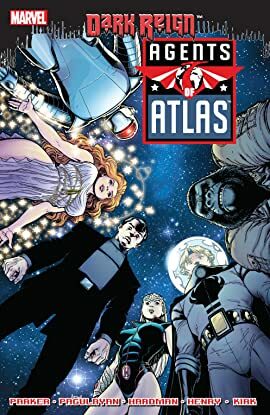 Since becoming Khan and head of the Atlas Foundation, James Woo has attempted to use his boundless resources and far-reaching influence for good with the help of his teammates, the Agents of Atlas: Gorilla-Man, Marvel Boy, Namora, M-11 the Human Robot and Venus. Not surprisingly, their goals sit in stark contrast to those of Norman Osborn, head of H.A.M.M.E.R. With each party hoping to use the other to its advantage, Woo makes a deal with Osborn, both men more than a little suspicious of the other's motives. And when the Agents look to be building a hellish arsenal for the former Green Goblin, they catch the attention of none other than Captain America - leading to the throwdown to end all throwdowns with the New Avengers! Plus: a 1950s flashback to the Agents of Atlas' first savage encounter with the man known as Wolverine and more!